Okay, so you’re excited about Microsoft’s biggest thing yet and want to give a shot on your Mac, right? Well, then you’re in the right place. Here we’re going to install the Technical Preview of Windows 10 on a Mac. I know, not a good mixture for most Apple loyalists. But hey, who said that it’s a natural law that can’t be broken? Especially when your Mac is already prepared to deal with it nicely and the whole process is painless. And of course, it must have a built-in optical drive along with a pair of keyboard and mouse. Apple mouse or keyboard not necessary – any USB keyboard or mouse will do the job. Finally, you’ll also have to arrange a pen drive that can hold up to 4GB of data. This is the drive that you’ll use to install Windows and other important drivers on your Mac. It’s basic, I know. But reminding about it was important. Remember, in any technical process that involves installation of the new operating system, there remains a good chance of losing data. 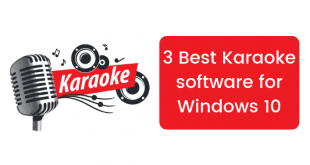 It happens even with the finest and completely bug-free releases of the software. Then how can we trust a software that’s just a technical preview? Backup your data before proceeding further. 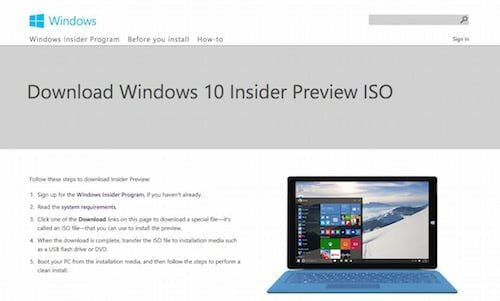 The next thing that you’ll have to do is downloading the Technical Preview of Windows 10. You can download it from here after signing up for Windows Insider program. 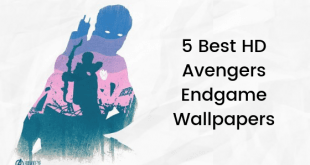 Jot down the product key, and go get a cup of coffee until the large download finishes. 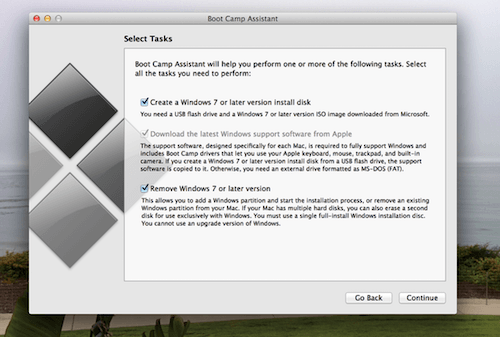 Launch Boot Camp from Utilities folder on your Mac, tick all the boxes and proceed by hitting the “Continue” button. Insert the flash drive into any USB port on your Mac. Now you’ll be asked to select the ISO file that you downloaded in step 3. Select the location of the file and wait for a while as Boot Camp downloads the required drivers and creates a bootable disk. This process will take a while, so be patient and avoid straining your eyes by staring at that progress bar! First and most critical step, here is partitioning your hard drive. Be careful about how much storage you allocate, because once this partitioning is done, you won’t be able to revert it. In other words, you won’t be able to expand or shrink storage without completely wiping that part of the drive. 20GB of space will be enough to install a fresh copy of Windows 10, but best practice is to allocate 30GB or more. Also consider your usage – if you’ll be using it occasionally, 30GB will be enough. If you want to play your favorite games on it, bump it even more depending on that. 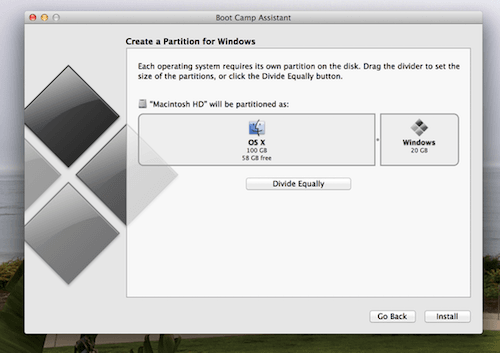 Finally, you can hit the “Install” button when partitioning is done. 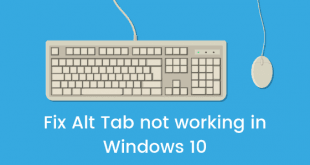 Windows will restart a couple of times, and may also make you wait a bit longer on some particular screens while showing some eye-candy graphics. Don’t worry, keep patience and let the process complete. Once this process is done, your Mac will boot into Windows 10. If it boots back into OS X, reboot it and hold down the Option key. This will bring you to a menu from where you’ll be able to select the OS you want to boot into. That’s it!